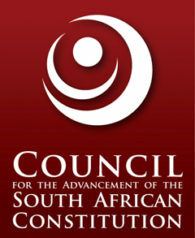 This section contains in-depth research on issues of interest to the constitution produced or commissioned by CASAC. David Bruce. 2015. Summary and Analysis of the Report of the Marikana Commission of Inquiry. Document prepared for CASAC. 12 August. Liam Minné (CASAC intern). 2015. The SANDF and Operation Fiela. 3 July. Shameela Seedat. 2015. The South African Parliament in 2015. Paper commissioned by CASAC. Edited by Lawson Naidoo. Funded by the Open Society Foundation for South Africa. May. Steven Friedman. 2015. The System’s Not to Blame? : Electoral Systems, Power and Accountability. Report commissioned by CASAC. April. Supported with a grant from the Open Society Foundation for South Africa. CASAC. 2012. From Subject to Citizen: a Citizen’s Response to the National Development Plan. 16 May. Hugh Corder et al. 1999. Report on Parliamentary Oversight and Accountability. Faculty of Law, University of Cape Town. July.